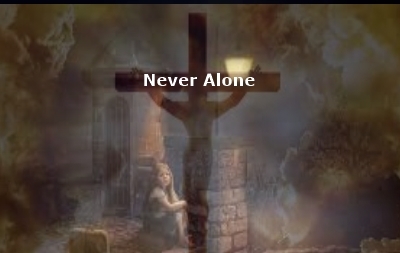 In the darkest of times, you are never alone even though you might be lonely. You might feel no one loves you but God loves you. You might feel you walk this Earth with no one, but God is always there you are never alone. You might blame God for all the bad in your life but it is not God. The devil is as busy as God they are intertwined in a fight of good and evil. You might feel evil is winning. I can assure you it is not. Oh, the devil tries with all the bad things in our lives but God takes that turning it into something good, there is good that comes out of bad and that is God's work. You may not be able to see all that Gods does for us but it's there. Bless you and your family, friends and all those lives you touch. This is a very good message that tells about the goodness of God. He loves us unconditionally even if we make a mistake. He is still there for us and will never leave nor forsake us. It's the devil that is the liar and that's all he does is lie and try to take us away from God. Thank you Susan for posting your inspiring post.